Tonight’s event, organized by Cevan Castle, the Cue Art Foundation’s public programming fellow, featured W.A.G.E.’s core organizer, Lise Soskolne, who gave an overview of her organization’s mission and its past and current activities. The talk had been sold out via an online RSVP, but the room was surprisingly half empty—with an unfortunately high number of no-shows for such an important subject. Nonprofits are subsidized while the market is not, Soskolne explained, and nonprofits have a moral authority and responsibility. “They are also charities,” she said with seriousness, “but artists are not charity cases.” Museums give value to art, the claim goes, which is capitalized on by the art market and art auctions. Many artists fail to benefit from this value, but institutional barriers aren’t always to blame. Soskolne identified four “irresolvable contradictions” regarding attitudes on remuneration that often come from creators themselves: (1) the conflict between the nonmonetary value of art versus the labor and compensation needed to earn a living; (2) operating outside the system to be critical of it versus selling out; (3) being either an eccentric radical or an agent of gentrification; and (4) building cultural and social capital during an artist’s emerging years versus the diminishing need for it as a career progresses. W.A.G.E. exists to correct these misconceptions. The venerated institution Artists Space, where Soskolne was a grant writer for many years, partnered early with W.A.G.E. and allowed her access to its financial history. Through this and other research, W.A.G.E. came to recognize that a line item for artist’s fees in a nonprofit’s budget is an essential characteristic of its cause. In fact, when W.A.G.E. was asked to participate in a 2010–11 exhibition called Free, organized by Lauren Cornell of Rhizome at the New Museum of Contemporary Art in New York, the group worked behind the scenes to negotiate payment for all other included artists instead of having a presence in the galleries. The $150 per person was not much, Soskolne said, but was more than just a token gesture. A line item for artist’s fees in a nonprofit’s budget—separate from production or installation costs—is now a required criterion for certification. Later in her talk, Soskolne importantly insisted that W.A.G.E. is not an art project, despite past encouragement by others who think the organization might cash in on grant money to sustain its work. As a 501(c)(3), W.A.G.E. is eligible for different types of funding opportunities, an advantageous position since government agencies are more likely to fund a nonprofit that a collective of artists. The solo exhibition is the anchor of the fee calculator, Soskolne said, which sets a minimum wage (called a “floor wage”). The calculator also considers an organization’s annual operating expenses to determine progressively higher payments. There is one caveat: what’s called the “Koons ceiling” creates a cap on artist’s fees and ensures, at places like the Guggenheim and Whitney museums, that “artists should not be getting paid more than the curator.” But sometimes modest nonprofits end up shelling out a higher percentage of their budgets for artist’s fees, according to the formula. “The smaller organizations tend to take better care of artists,” Soskolne acknowledged, but firmly stated, “If there’s no minimum, there’s no place to start from.” Larger organizations, she said, spend money on things like conservation, which smaller groups need not consider. But since larger institutions tend to increasingly accumulate more money and power, Soskolne argued that public funders such as the New York City Department of Cultural Affairs and the New York State Council on the Arts should concentrate on subsidizing smaller groups. When asked later about fees from university galleries and museums, Soskolne admitted that it’s hard to extract their allocations from their parent school’s budgets. W.A.G.E. certification, whether implemented or not, may play a positive role in getting institutions to radically rethink their finances—especially in places like Art in General, for example, where the executive director’s salary comprises 21 percent of its annual operating expenses. Soskolne said that one institution has been certified—Artists Space—and five more are expected to pass through the process by January. But even if institutions are hesitant to undergo the analysis, their staffs can use the fee calculator to determine fair payments. Likewise, artists may negotiate better with institutions, and W.A.G.E. encourages artists to cc them via email during this process. One thing left unresolved by certification and the fee calculator, however, is potential reimbursement of production expenses to an institution from an artist if a work is later sold. Standards for this type of agreement, it seems, would still be mediated individually and privately. Over the past few years I’ve noticed that people have trouble understanding and accepting W.A.G.E.’s specific goal—encouraging payments to artists by nonprofit institutions. During the Q&A, the audience raised other issues of inequity in the art world. What about unpaid interns and low-paid nonprofit employees? What about equal representation of woman in museum shows? What about resale royalties for artists? What about fair-labor practices in social practice art? (“It’s murky,” Soskolne answered, and pointed out that individual artists are not institutions.) What about donating a work to a nonprofit’s benefit auction? What about artists who teach? Can W.A.G.E. certify a festival? I’d like to see these questions addressed in thoughtful, beneficial ways. To achieve better equity in the art world, it’s clear we need to expand the cause beyond artist’s fees. Until those advocacy groups are formed, or existing groups are mobilized, artists and others must recognize the power in saying no to exploitative situations (among other solutions). “Discourse around labor is trendy in the art world,” Soskolne said, which is a good thing, and several upcoming events in New York this month—including “Parallel Fields: Alternative Economies” at A Blade of Grass on January 14, “The Artist as Debtor: A Conference about the Work of Artists in the Age of Speculative Capitalism” at Cooper Union on January 23, and “The Artists Financial Support Group Speaks Openly about Money and Debt” at the CUE Art Foundation on January 30—will keep the conversation going on a range of economic topics. 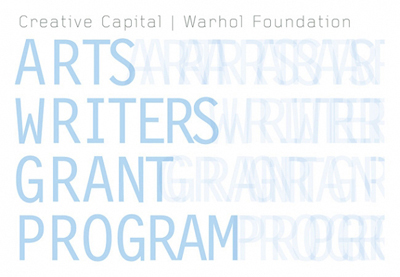 In March 2014, Performa published a call for unpaid writing fellows for its online Performa Magazine. After conceding to pressure from the arts community, Performa agreed to pay honoraria to the fellows but later scrapped the program.